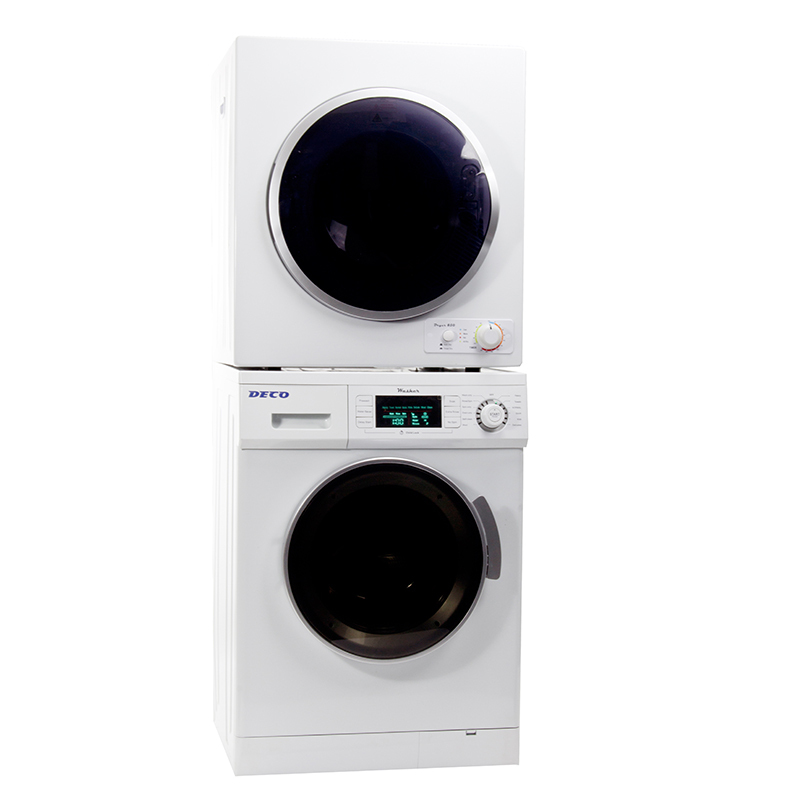 Say goodbye to the frustration of doing laundry with the Deco DW 820 Washer. With a 13-pound capacity, this ultra-compact 33.5 x 23.5 x 22 inches (HxWxD) machine is a favorite choice for families living in apartments, condos and other small spaces. But don’t let its size fool you: this slim washer is packed with innovation that makes laundry a breeze. 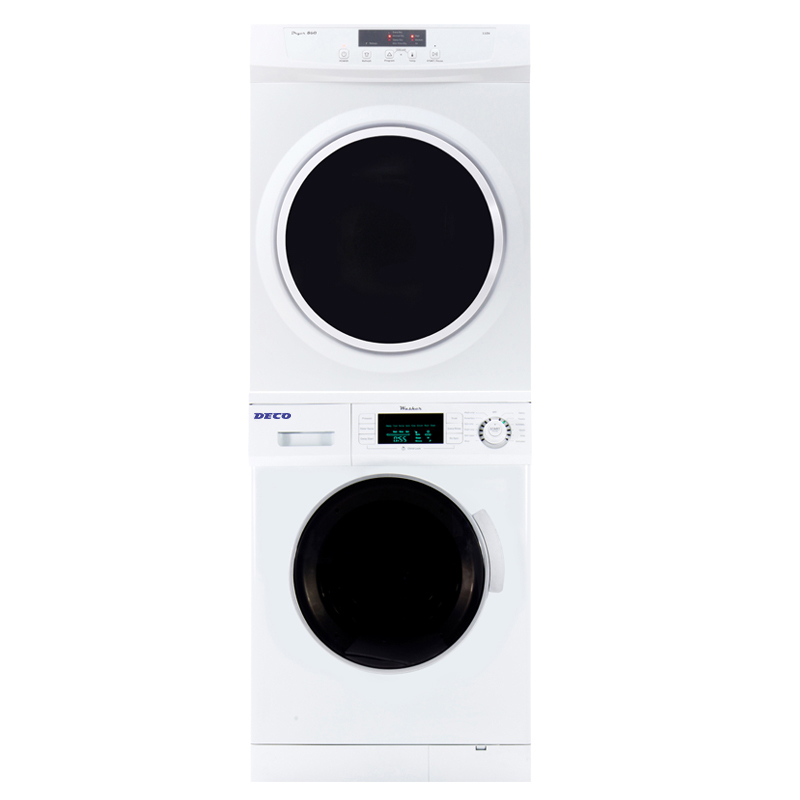 Fall in love with its powerful 1000 RPM spin speed, which washes your clothes faster, and feels confident that its energy- and water-saving features are keeping your utility bills in check. 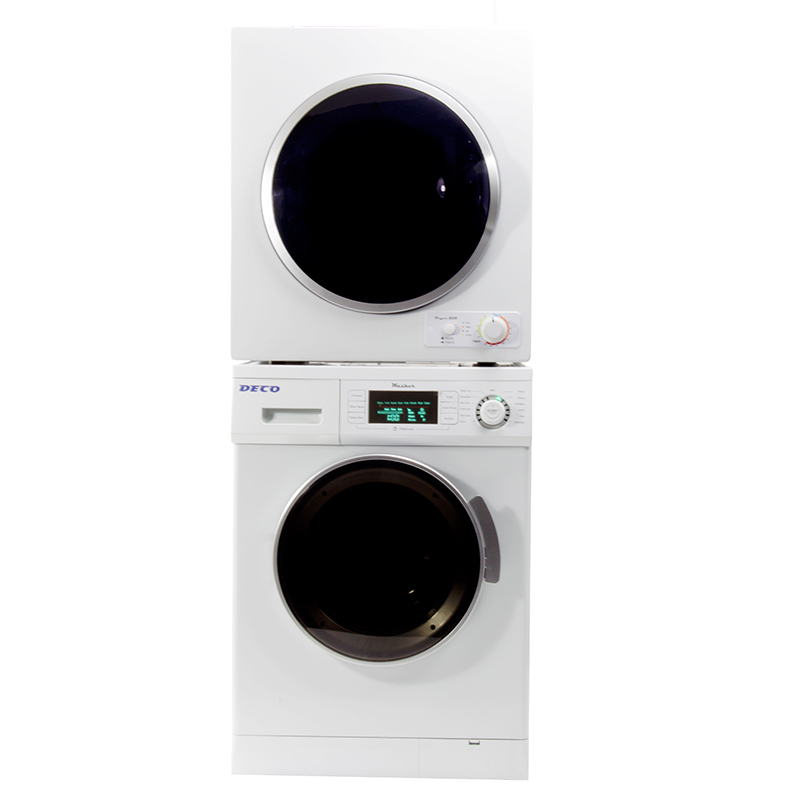 This sleek washer also comes equipped with advanced features such as add-a-sock option, child lock, delay start and prewash. 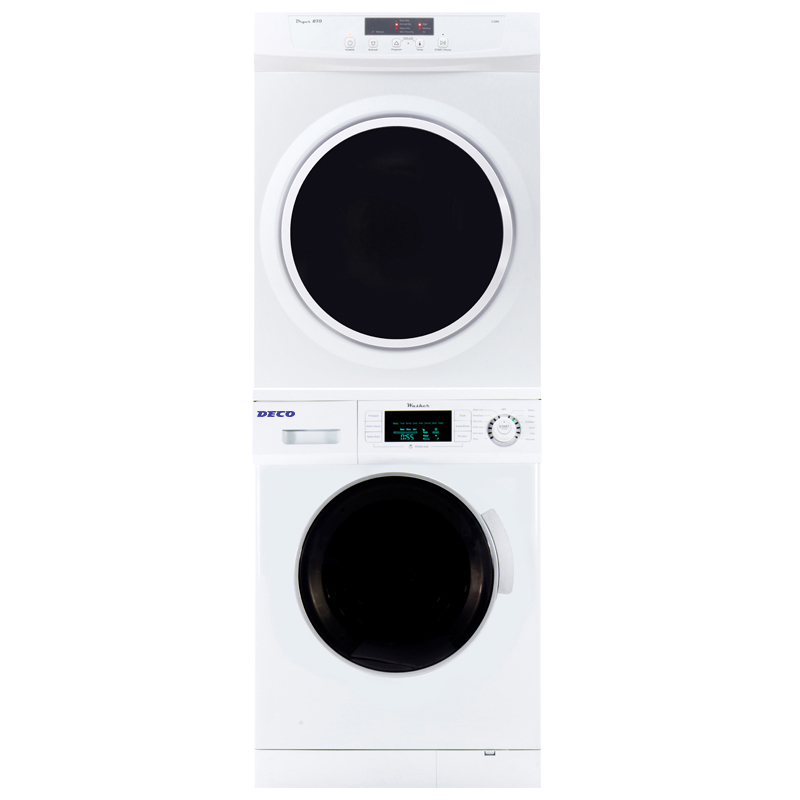 Adjust the washer’s leveling legs to make laundry a truly hassle-free experience. 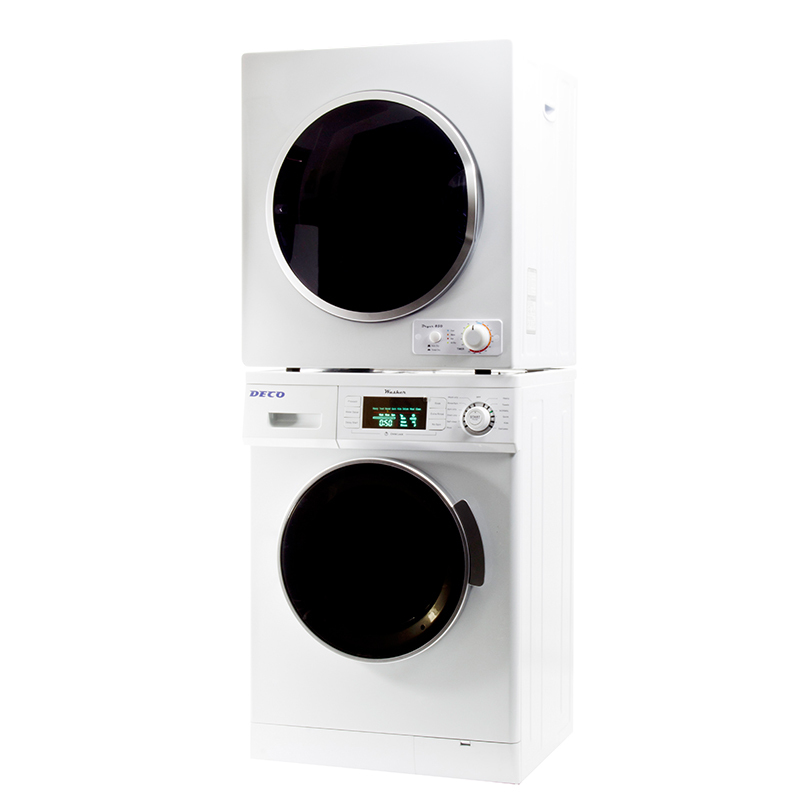 The DD 850 dryer maximizes your laundry efficiency, without compromising drying speed or design. 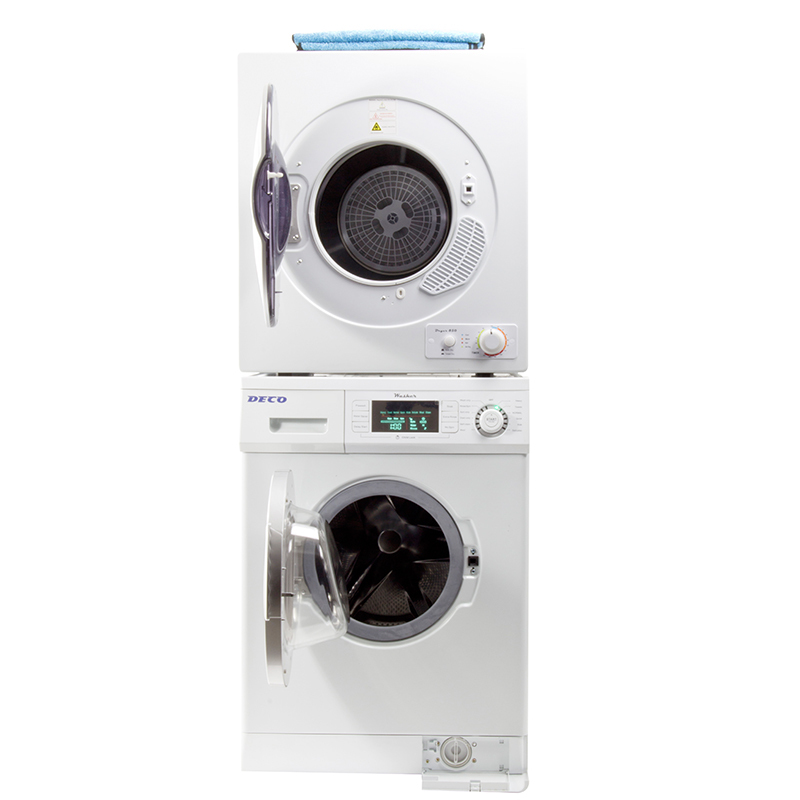 At just 26.5 x 23.5 x 23 inches (HxWxD), this compact machine is built to fit into the smallest spaces, whether it’s a condo, apartment or non-traditional laundry area. 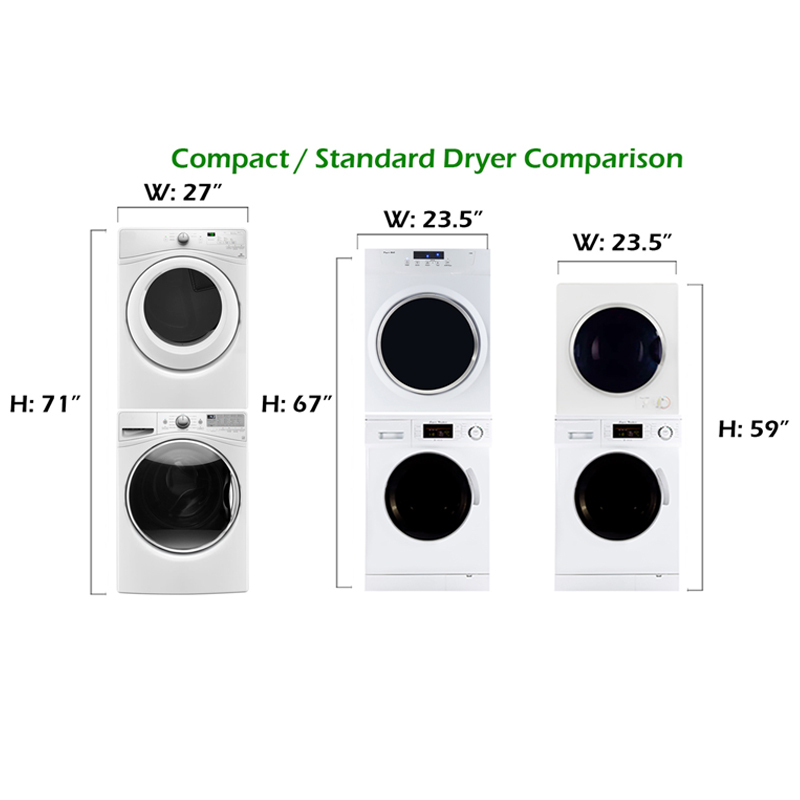 Dry your clothes to perfection with auto dry/timed dry options that leave garments ready-to-wear and wrinkle-free, and feel the difference of the DD 850’s high-speed, fast-drying turbofan. And if you’re doing laundry in a non-traditional space, there’s even more to love. This convertible dryer changes from venting to condensing mode in a few simple steps and can be paired with an innovative venting bucket to create a vented system—even without vents. 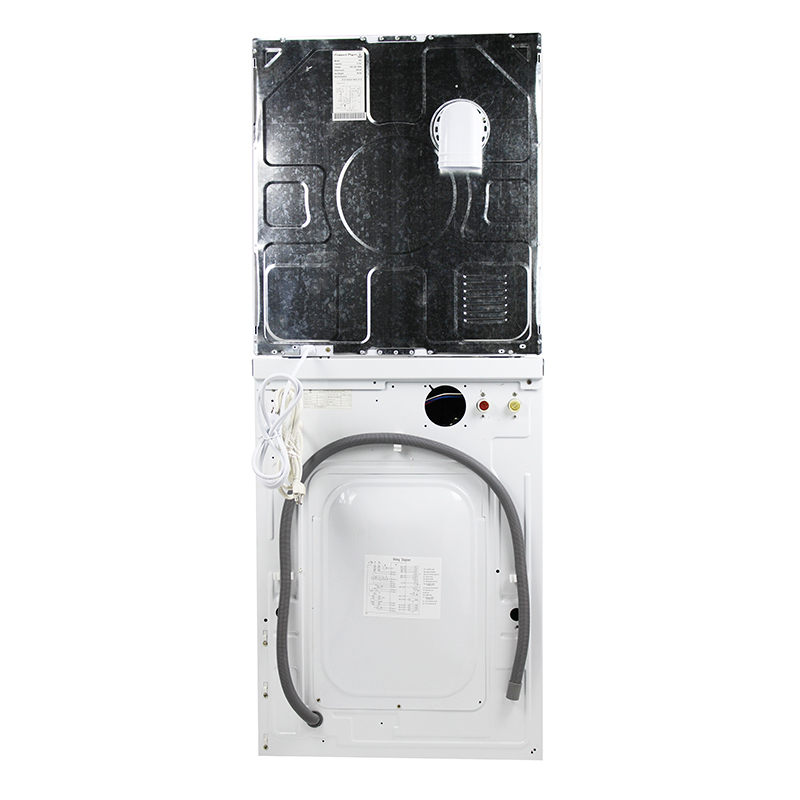 With a door safety switch, 180-degree opening door and premium steel drum, you can rest assured that your dryer is built with your family’s safety and convenience in mind.